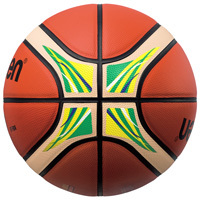 Thank you for your interest in purchasing a 2016 FIBA Special Edition Basketball. Please use the following list to find a Molten distributor located in or near your country, as well as the specific basketball models they are carrying. * Each distributor will be able to direct you to a local dealer/retailer to purchase the ball of your choice. If your country is not listed below, you may shop Amazon.com to purchase the BGL7X and BGM7X models, beginning in July of 2016. *Please note that this list of distributors is not comprehensive and does not include ALL Molten distributors found throughout world. It only lists Molten distributors carrying 2016 FIBA Special Edition products.